Sister Janet Neureuther, a member of the School Sisters of St. Francis, recently completed 50 years as a teacher and principal in the Archdiocese of Milwaukee. Presently, she is employed with Catholic Charities, a social services agency, with programs such as: Adoption and Supportive Parenting, Adult Day Services, In Home and Hoarding Assistance, Legal Services for Immigrants, Behavioral Health, Outreach and Case Management, Refugee Resettlement to name a few. 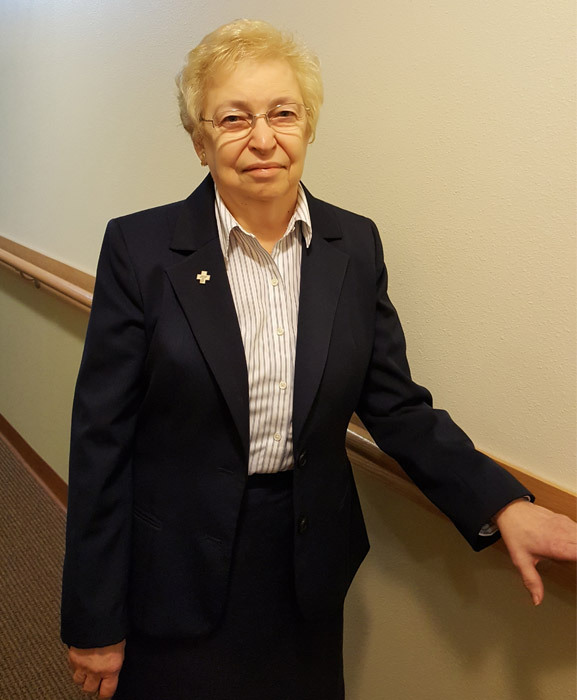 Sister Janet serves as the Executive Assistant of the agency and is the secretary of the Board of Trustees. She as previously served on several School Sister Boards and most recently on Pius XI Catholic High School.